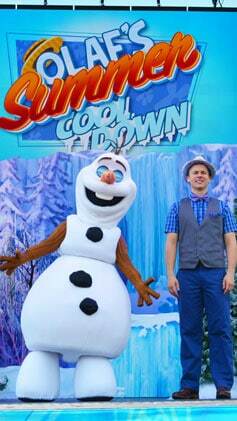 Olaf’s Summer Cooldown is a new show that is part of Disney World’s Hollywood Studios Frozen Summer Fun celebration. 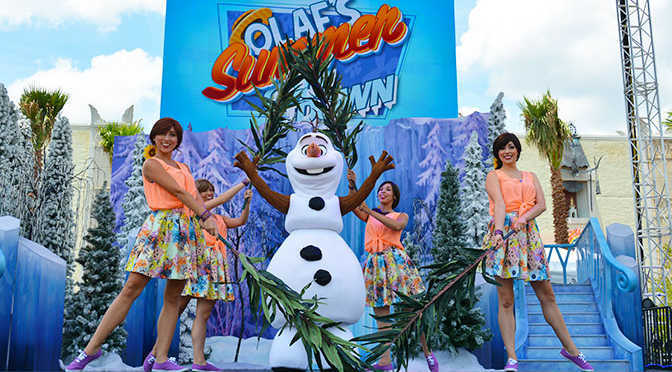 This 10 minute show is a celebration of Olaf’s desire to enjoy all things summer. 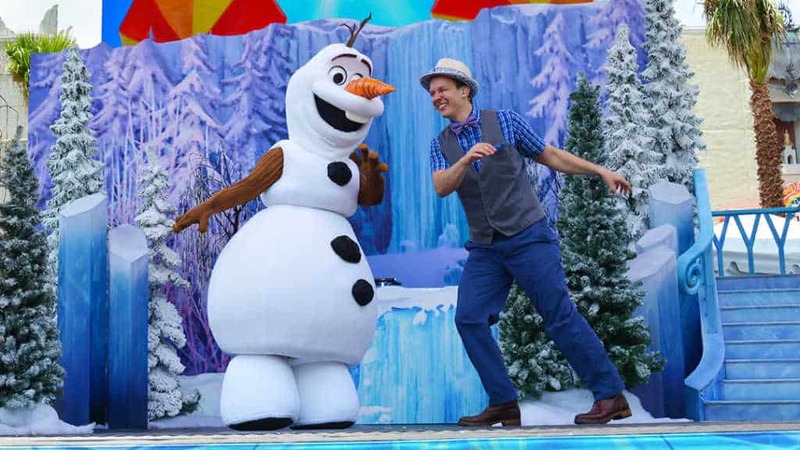 Olaf’s Cooldown has an excited host whose costume reminds me of the old Disney Channel Rocks show. The host is peppy and excited to get the guests involved in the show. 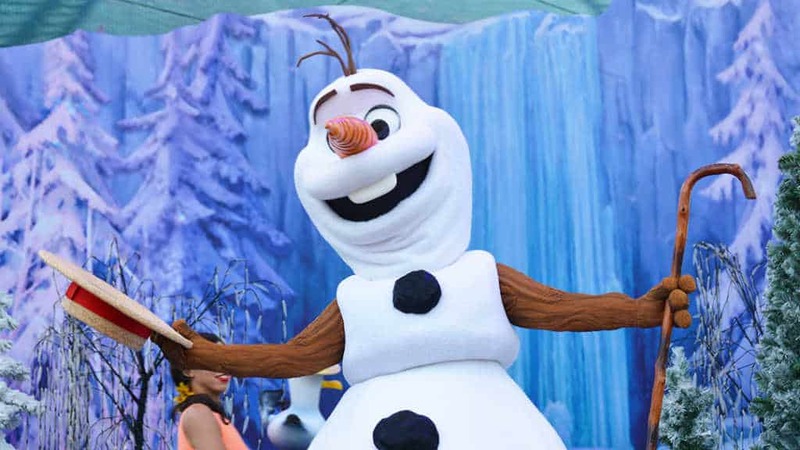 Of course, it would seem difficult to offer Olaf’s Summer Cooldown without Olaf, but the 2014 Frozen Summer Fun only had Olaf on a video screen. 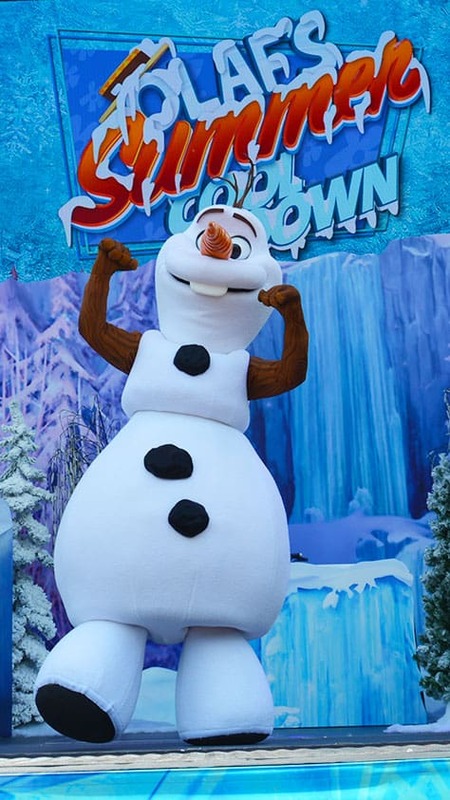 This year Olaf is live and ready to party. 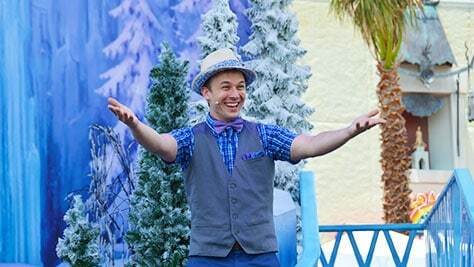 He blinks and sings along with the entire show. All the kids, including my own, where really excited to be so close to the chilliest snowman around. My daughter still wants to know why Walt Disney World can’t have a meet and greet. Olaf is joined by 4 beautiful dancers in festive summer costumes. I could see my oldest daughter wearing this exact costume to the beach while we were in Hawaii. 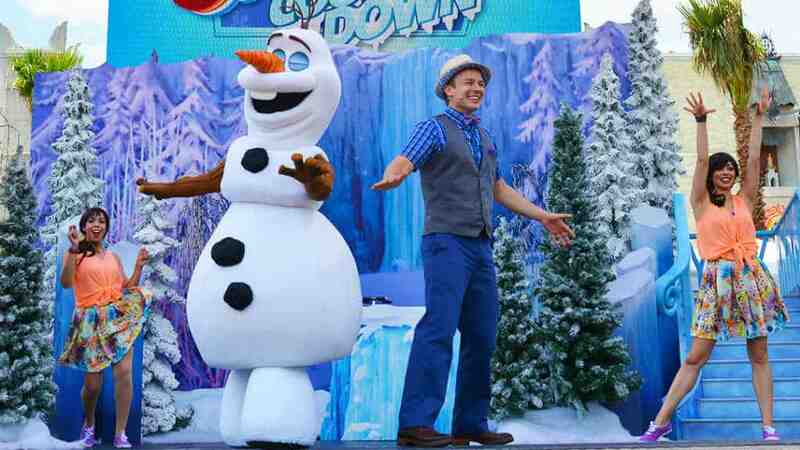 Olaf begins with his famous song, “In Summer,” which was a big hit and all the kids sang along. Hey, I think they are enjoying this so far! 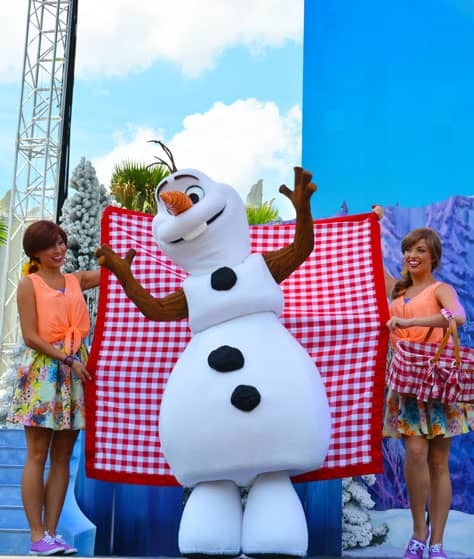 Olaf wants to experience a picnic. But be careful with the Potato Salad dude. If you don’t keep it cold, you could die! My daughter kept asking where his cloud was at. I think the little seagulls with hats are just too cute. I need one for my front door. 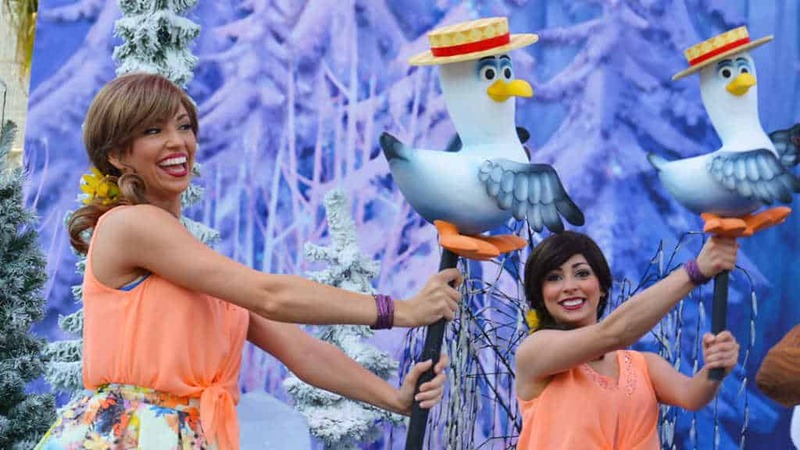 Oh, this reminds me…they discontinued the free Olaf fans this year! Acck! Bring your own fan. 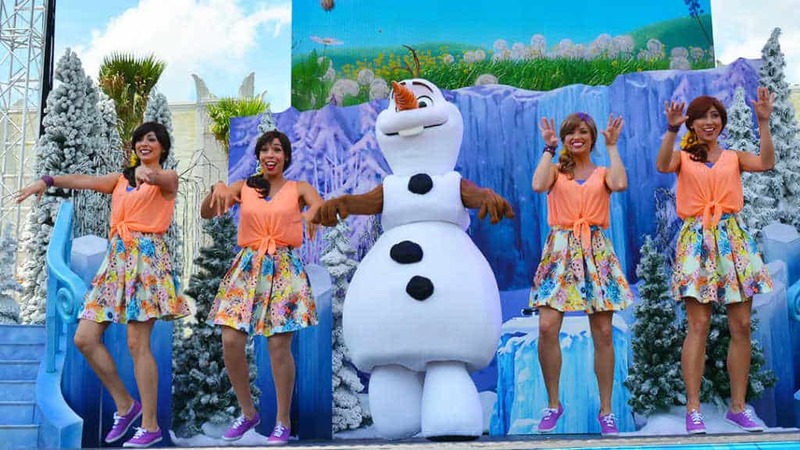 Nothing like a snowman with a high end soft shoe dance number. Sweet Tea. 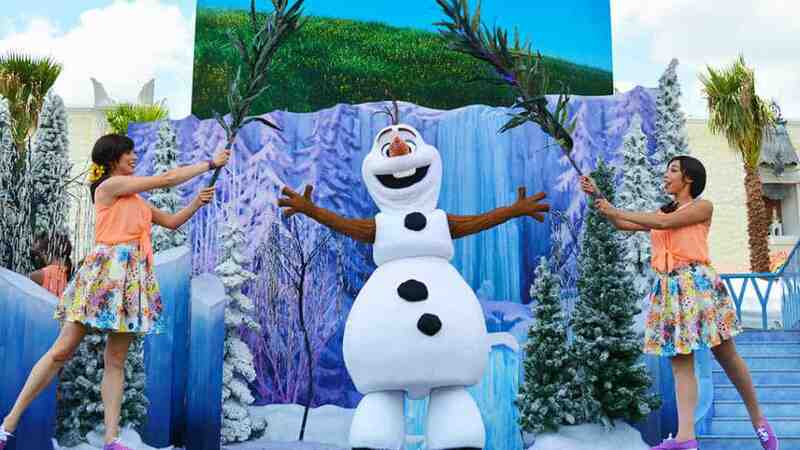 Olaf has adapted nicely to Central Florida, but the young lady on the left is doing a Shaka, which is distinctly Hawaiian. Oh well, at least it reminds us of summer and sun. I want that umbrella about right now! So the “In Summer” song was a lot of fun. Then the next few minutes become odd. Instead of watching a show on stage, the host wants this to become a dance party of sorts and encourages us to do the “sprinkler.” I admire the energy and joy the dancers had, but the crowd wasn’t into sprinkling at all. 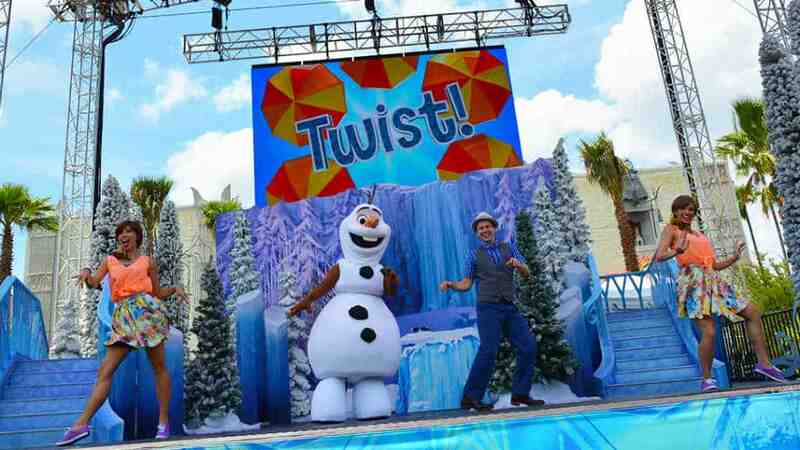 We are also encouraged to do the “Twist.” I didn’t observe too much twisting that day. 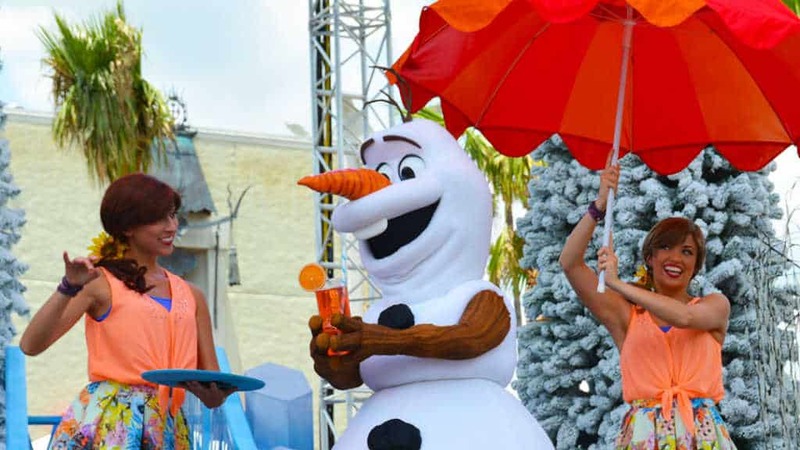 It was nearly 100 degrees in the blazing sun, so most people just dreamed of turning Olaf into a slushie. 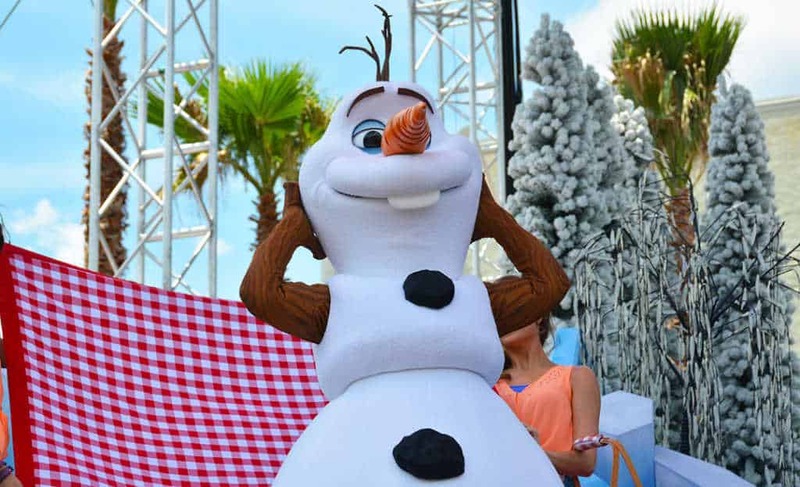 Olaf loves all things hot. Looks like a fun fun event. I agree with your daughter – why no meet and greet with this guy!! he would be huge! !